Surge protector outlet strip Eco Line with 3x earthed sockets (3x 2P + E, EU/schuko), 1.5m cable lenght and 2-pole illuminated ON/OFF switch. It protects expensive devices from overloads with a max. 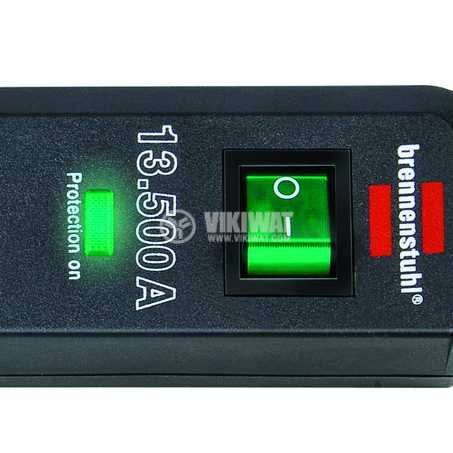 surge current up to 13,500A. Childproof sockets. 45° outlets arrangment for easy use of angled plugs.